Examining the science is what InsideTracker does best! We’ll dissect the issue in this blog and present the most current research on food allergies and sensitivities. If you do your own reading on food allergies, you’re sure to run into plenty of scientific terms – some of which may be confusing – so we’ll save you the struggle and in simple terms, break down different types of food allergies, the tests currently used, and the scientific evidence that supports them. It’s dense, but it’s worth it! At InsideTracker we follow evidence based nutrition; meaning that everything that we recommend is supported by qualified scientific research. In general, an allergic reaction occurs when your body mistakes a harmless protein or molecule as a “threat” to itself. Whether this “threatening invader” is pollen, peanut proteins, or cat dander, your body will respond with an immune reaction that triggers the production of antibodies. Antibodies help your body get rid of molecules that could potentially harm it, and are very important for fighting disease and keeping us healthy. Antibodies are also what cause the symptoms (think inflammation, runny nose, sneezing, etc.) of an allergic reaction. Food allergies work the same way as other allergies. When you are allergic to a food, it is actually specific components of the food that make the body react. When you eat this food that your body thinks is harmful, it responds by producing antibodies to defend itself. The antibodies cause symptoms – this is an allergic reaction. We’re going to talk about antibodies a lot in this post, because they are usually measured in tests for food allergies/sensitivities. The type of antibody that is made can also be what differentiates a food allergy from a food sensitivity. So, when we talk about food allergies, we mean intense reactions that can be extremely uncomfortable, or even life threatening. Because of the intensity of the reaction, these types of allergies are fairly clear-cut when it comes to making a diagnosis. Based on your symptoms, your doctor will make a clinical diagnosis and then order allergy tests to confirm the diagnosis. Skin prick test: A small amount of purified allergen is gently scraped or pricked onto the skin surface. This test is highly sensitive, but can also result in false positives. This means that even if you get an allergic response, you may not actually be allergic to the food. This test is better at confirming that you are not allergic to something. Food challenge: The subject is fed food in increasing doses until an allergic reaction occurs. This is the most accurate food allergy test, but must be done with an allergist at a medical facility to avoid a serious allergic reaction. A food allergy can be very serious, and it is important to follow your doctor’s orders for dealing with the foods you’re allergic to. Some classic examples of foods that can cause allergic reactions are peanuts/tree nuts, seafood, and soy. Managing a food allergy typically includes avoiding these foods, or carrying an EpiPen just in case you are exposed. 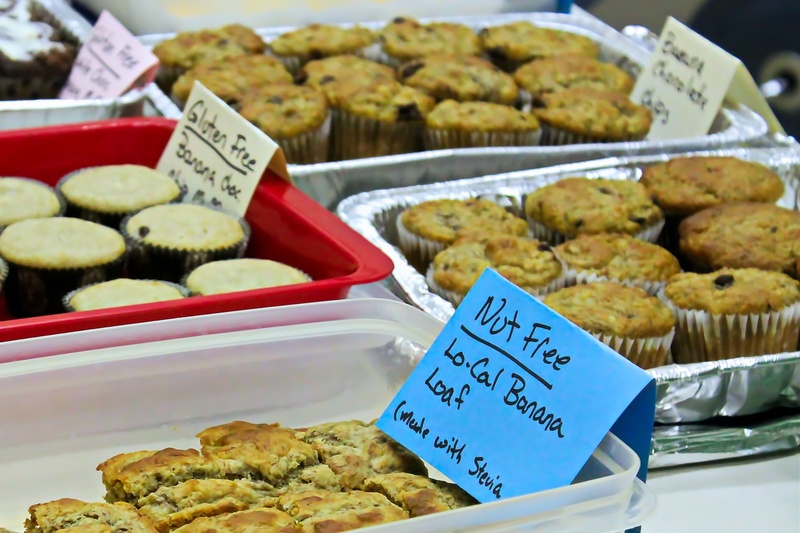 There is no real “gray area” when dealing with food allergies. Do what your doctor tells you to do. “Food sensitivity” and “food allergy” mean two very different things, but these terms are often confused. Unlike food allergies, food sensitivities are less understood, and methods for accurately testing for them are still being researched. A food sensitivity is also known as a type 2 hypersensitivity, and is thought to be a chronic, low-level allergic reaction. Recently, there has been a great deal of popular interest in this new research on food sensitivity, and it has been used as the basis for trends like gluten-free and lactose-free diets. 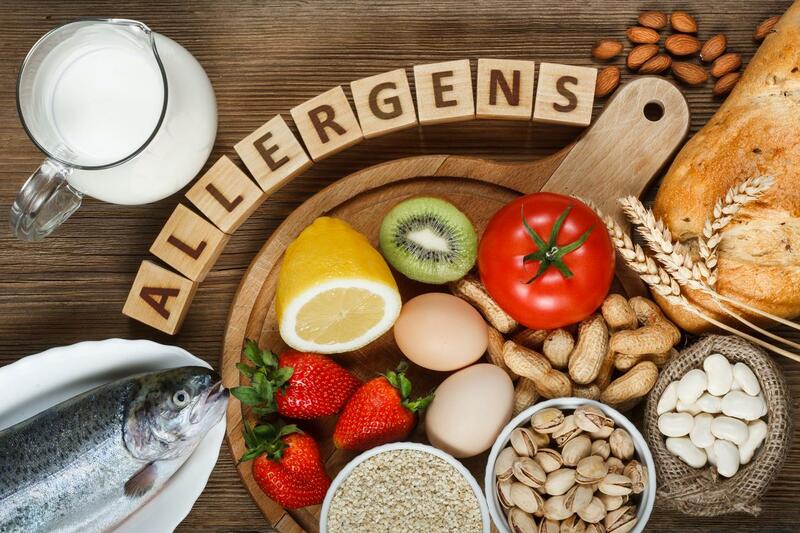 The idea behind these trends is that by eliminating foods containing “allergens” from your diet, you will improve your health by supposedly reducing these low-grade, chronic allergic reactions. The most common foods thought to cause sensitivity are wheat, dairy, and corn. The problem with this, though, is that if you are not actually sensitive to these foods, following this special diet is not helping you. In fact, you may be missing out on certain nutrients contained in the foods you are avoiding. Unfortunately, the answer to this argument is not as simple as “okay, then I will get tested to see if I have a food sensitivity.” Testing IgG and IgA is really only useful if you are having symptoms of a sensitivity. To test IgG and IgA, laboratories use ELISA to quantify the antibody response to specific foods, and then interpret the results in clinical context. What this means is they take a sample of blood, and expose it to hundreds of different food solutions. If more than 3 items in any food family create a positive allergic reaction (increase levels of IgG/IgA), the person is recommended to eliminate foods from that family for 4-6 months. If eliminating these foods reduces the symptoms the person was having, then a diagnosis of food sensitivity can be made. This research shows that there is a high rate of false positives when using these antibodies to diagnose food sensitivity. Based on this, food allergy tests should only be used if there are symptoms of a food sensitivity. If you don’t have any symptoms, you might still get positive results for a sensitivity, but eliminating these foods from your diet may not have positive benefits. Is there any use for food sensitivity testing? Food allergy and food intolerance are two very different things. A food allergy is a type 1 hypersensitivity mediated by the fast-responding antibody IgE. A food allergy will result in an immediate and intense reaction, and doctor’s instructions should be followed in managing the allergy. Food sensitivity, on the other hand, is a type 2 hypersensitivity that is possibly mediated by the slow-responding antibodies IgG and IgA. Symptoms most commonly associated with food sensitivities are IBS, migraines, asthma, and chronic fatigue. IgG and IgA are not typically used to diagnose food allergy, but their potential for mediating, and possibly diagnosing food sensitivity, is a topic of current research. Based on the available research, IgG/IgA testing seems to be associated with food sensitivity, but should only be used to support a diagnosis based on clinical observation or presentation of symptoms, as many of the healthy controls in studies have also shown elevated levels of IgG. If symptoms are present, this testing can be used to confirm the clinical diagnosis, and can be the basis for an elimination diet that could improve your symptoms. Mullin GE, Swift KM, Lipski L, Turnbull LK, Rampertab SD. Testing for food reactions: the good, the bad, and the ugly. Nutr Clin Pract 2010;25(2):192-8. Shakoor Z, AlFaifi A, AlAmro B, AlTawil LN, AlOhaly RY. Prevalence of IgG-mediated food intolerance among patients with allergic symptoms. Ann Saudi Med. 2016;36(6):386-390. Guo H, Jiang T, Wang J, Chang Y, Guo H, Zhang W. The value of eliminating foods according to food-specific immunoglobulin G antibodies in irritable bowel syndrome with diarrhoea. J Int Med Res. 2012;40(1):204-10. Atkinson W, Sheldon TA, Shaath N, Whorwell PJ. 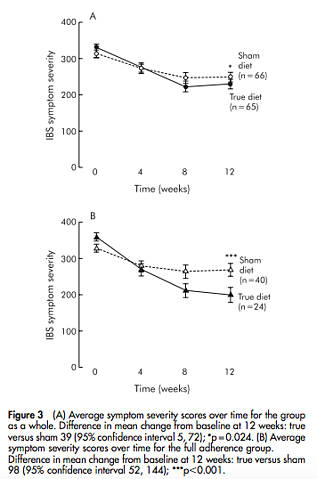 Food elimination based on IgG antibodies in irritable bowel syndrome: a randomised controlled trial. Gut. 2004;53(10):1459-64.